We’re Moving! Film Independent HQ Relocates to the Miracle Mile. We’re movin’ on up/to the Eastside/to a de-lux apartment in the sky… Well, maybe not all the way to the Eastside, per se—but a little further in that direction, for sure. That’s right: Film Independent is moving offices. For real. Exciting, no? 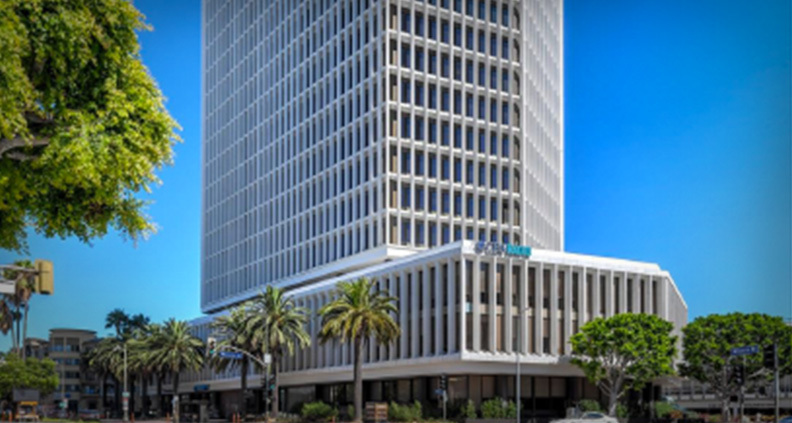 Our new digs will be located on the ninth floor of 5670 Wilshire Boulevard. We’re incredibly excited to be upgrading to a brand new space custom-designed to better serve the needs of our Members and Fellows; a fresh and welcoming new space better calibrated to service Film Independent’s mission. So kiss our longstanding Pico HQ goodbye and ramble on up the road closer to the heart of the city, just steps away from the La Brea Tar Pits and LACMA, which will continue to host our weekly Film Independent at LACMA screening series and other events. Likewise unaffected (other than their new GPS coordinated) are our weekly Film Education events, casting room rentals, free parking after 5:30 p.m., plus new $5 discounted all day parking with validation. Our essential Member services will remain the same—just new and improved, contained inside an exciting new space stress-tested for maximum utility and efficiency. It sounds like we’re describing a new luxury SUV here, but it’s true. And there’s at least one major feature of the new Film Independent that you should be aware of: A new screening room. Okay, okay. That’s not an actual picture of the new screening room. The new screening room is currently mostly just a big concrete tomb with wires hanging down from the ceiling. But it’s slated to be finished soon—before the end of the year, even; a 35-seat facility that will provide a home for special viewing events, panels and lectures, all in service of amplifying the voices of underrepresented filmmaking talent. The screening room will at least be finished and open for business before the completion of the Metro Purple Line extension, which will (eventually) be easily accessible just outside our new front door. So! Starting next week on October 9, we’ll say goodbye to Pico Blvd. and start settling into the new office. The following Monday, October 16, we’ll open our doors at 5670 Wilshire, just off the intersection of Wilshire and Hauser Boulevards. And if, by chance, you’ve yet to take the plunge to become a Film Independent Member, why not use this cheerful change in address to start fresh? Learn how to become one today by clicking here. Keep up with updates about our move, as well as other sundry Film Independent business, by following us on Twitter, Facebook and Instagram. And don’t forget to subscribe to Film Independent’s YouTube channel. See ya on the Miracle Mile!